Paradise Relocation was established in 2004. The establishment decided to start the business from Dubai head office. We started with professional packing and moving services. Initially we were delivering services to the native of Dubai. With our professional attitude we are providing the services of Local relocation, Inter-City relocation and International relocation around the globe. We always have a cost effective relocation solution for your needs like transportation of your personal items, household goods or official assets. We never say that we are the best Relocation Company in Dubai but we just feel our self like the most professional relocators in UAE due to the highest market share in our niche. Our top rated customer's feedback brings a large number of new customers to us. Best relocation advisors sits in our office. With their vast experience in moving industry they helps every single individual to relocate with an ease. 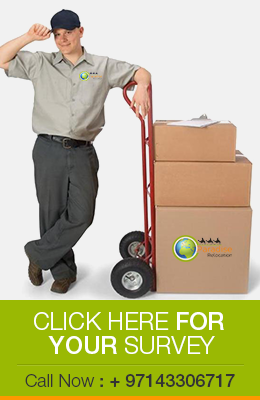 They provide you the complete procedure from moving your old place to your new destination. Customer gets a detail plan from our experts. This plan is based on the provided information we get from the customer. The core elements of the move plan includes the type of packing we use, mean of transportation and the assembly activities on your destination. Our aim is to provide you the satisfaction level that you never had while moving to a new place. From day first we are spreading our connections with multiple origins agents, shipping lines, destination agents and different agencies all over the world to improve relocation process. As we are known as the best dubai movers so we are very selective in spreading our network. Our every agent is registered in their country with years of experience and enriched with a good customer base. As you are important to us so we keep good care of your belongings by offering the insurance plan that covers all the damages and loses in the case of any accident. To cover some extra miles for your ease and comfort is the part of our job and it is included in our company culture. You never have to deal with any agency in the complete relocation process. We do everything for you from packing and moving to Safe Storage. You have everything on a single spot known as Paradise relocations. We provide freedom to our clients. While storing the goods at our warehouses clients are free to see the belongings anytime. We made the warehouse at convenient locations in Dubai so client can access their goods very easily. Highly secure and fully equipped ware-houses are built to keep your storage safe and fully secured in our premises. We also deal with corporate clients for office and commercial relocation. For commercial relocation one of our surveyor visit your office or business place for a detail survey. On the base of gathered information company drop the quotation with the estimated price of the cost incur while relocation the office. After your approval our fleet arrive at the provided address and then dismantle and pack professionally. The boxes is then delivered to the new destination and our crew re-mantle the transported goods safely. It does not matter how small your move is, Paradise relocation is the always available. Just Call us or drop your query on info@paradisepacking.ae .